Michael Ellner is an internationally prominent self-hypnosis educator and co-author of three books on self-empowerment. 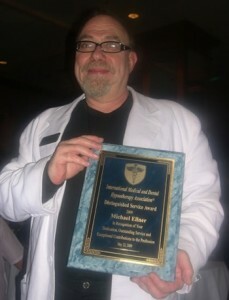 Throughout his 30 year career as a New York hypnotist, Ellner has also been honored with The International Medical and Dental Hypnotherapy Association’s Educator of the Year 2008 and The National Guild of Hypnotists’ Charles Tebbetts Award for “Spreading the Light of Hypnotism” during their 22nd Awards Dinner Banquet. In addition to that achievement he has also won the National Guild of Hypnotists “Educator of of year and was inducted into the NGH-ORDER OF THE BRAID. Michael is available for Skype sessions, phone sessions or hypnosis sessions at his NYC office. To hear my latest interview on Smashing Beliefs, click here. I’m not getting any audio on that 5 minute session – and my speakers are working cause I was just listening to YouTube. I’ll try again in a day or so… I admire your work and look forward to learning more from you.